Poker H.O.R.S.E has nothing to do with riding. This acronym is the name of a very specific form of poker. Even frequent Poker players may not be familiar with this obscure strand of poker. That's why the Bet O'clock team has decided to enlighten the betting community. H.O.R.S.E is a mixed strand of poker. Its name is derived from each of the games which it includes. Admittedly the acronym is a little far fetched given that the games don't all begin with the letter. However, regardless of this, H.O.R. S. E is a game which involves playing these 5 games in cycles. To play, you need to know the rules of each individual game. If you are new player looking to familiar yourself yourself with the classics, check out our article on Holdem and Omaha. H.O.R.S.E includes one round of each game that it is made up of. These must be played in a specific order. One important distinction is that every single game is fixed limit. Pot limits or No limit games are not allowed in this version of Poker. Once you set the limits at the beginning of the game they will apply to everything. So if the limits of the Omaha game were $10/$20, the Seven Card Stud game would have the exact same restrictions. Another thing to bear in mind is that, in tournaments each time the blind level changes the games rotate as well. Even if it can seem quite complex, this game is actually very simple to play if you are comfortable with all the games which it includes. The good thing about mixed games is that they utilize a higher skill and rely less on luck. Although, there is a chance that “first-time-lucky” newbies can win at a single game, such a complex combination of games requires an all-rounder. It is also very likely that you will be up against more experienced players in these types of games. In profession tournaments H.O.R.S.E is a more homogeneous game. This is because players who specialize in a particular type of Poker don't have an advantage. In this case, each player must really refine their strategy across each round instead of sticking to what they know. This renders H.O.R.S.E a very challenging and ambitious game. Horse is rarely played live because it requires the dealers to have extra training. Many casinos evidently don't think that this is a worthwhile investment. Nevertheless, if you live in a state where gambling is legal then it is worth inquiring at your local casino. However, even without leaving the comfort of your home, there are many places to play this game online. Pokerstars has often been cited as the best place to play H.O.R.S.E and with good reason. This operator provides good editorial content which introduces the game clearly and concisely. They also have free poker tables in which new players can practice this mixed game before wagering real money. This can be very advantageous for newer players. 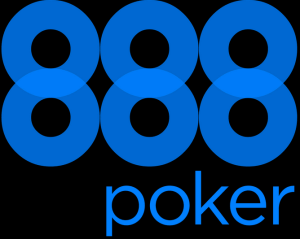 888 Poker is also a platform which is often highly recommended. They offer frequent H.O.R.S.E tournaments for registered members. However, they do specify that this game is often played by their more advanced players. This probably because they don't have the tutorial aspect which PokerStars offers. On this occasion Philadelphian player John Hennigan A.K.A “Johnny World” walked away with $117,320. Since then the format of the game has been partly modified into an 8 game mixed game format rather than 5. However mixed Poker games continues to be very important events at the World Series. 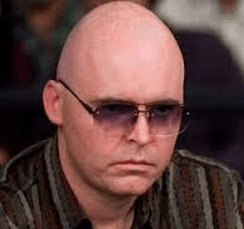 If you want a lesson from the pros why not check out Ville Walbeck's interview about H.O.R.S.E games on Poker News.